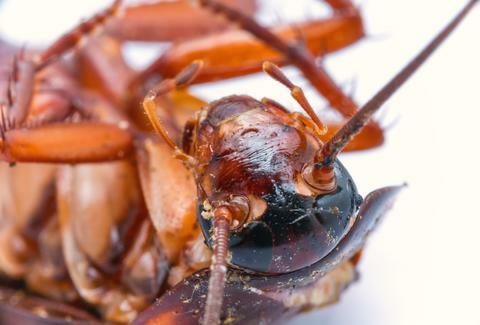 Get ready to beg for this story to end, because a woman just underwent surgery to have a live cockroach removed from the inside of her head. A 42-year-old woman identified only as Selvi woke up Tuesday night with an oddly itchy nose and couldn't figure out what was ailing her. "At first, I thought I was coming down with a cold," Selvi told The Times of India. She went to the hospital to get checked out. The first doctors suspected a growth in her nose. She was taken to a second hospital that attempted to pump the "growth" out using water. They didn't have any luck. At a third location, they suspected a "foreign body that seemed to be mobile" and decided she would need a scan. She was then sent to Stanley Medical College and Hospital where doctors discovered that the "growth" had antenna. "It was a full grown cockroach," Dr. M N Shankar told the Times. "It was alive. And it didn't seem to want to come out." The Times of India reports that the cockroach was "in the nasal cavity between the eyes, close to the brain." Right now, you're probably squirming and trying to decide why the hell you are reading this. That's fair because this is definitely what killed Colonel Kurtz in Apocalypse Now! He read this news and then died saying, "The horror." For 45 minutes the doctors used suction and forceps to get the cockroach out of her head. The doctors noted that they've pulled a lot of strange things out of noses before, "but not a cockroach, especially not one this large," according to Dr. S Muthuchitra. So, that's a thing. Ugh.